Every year for the holiday season Pampered Chef rolls out some awesome products just for the season. 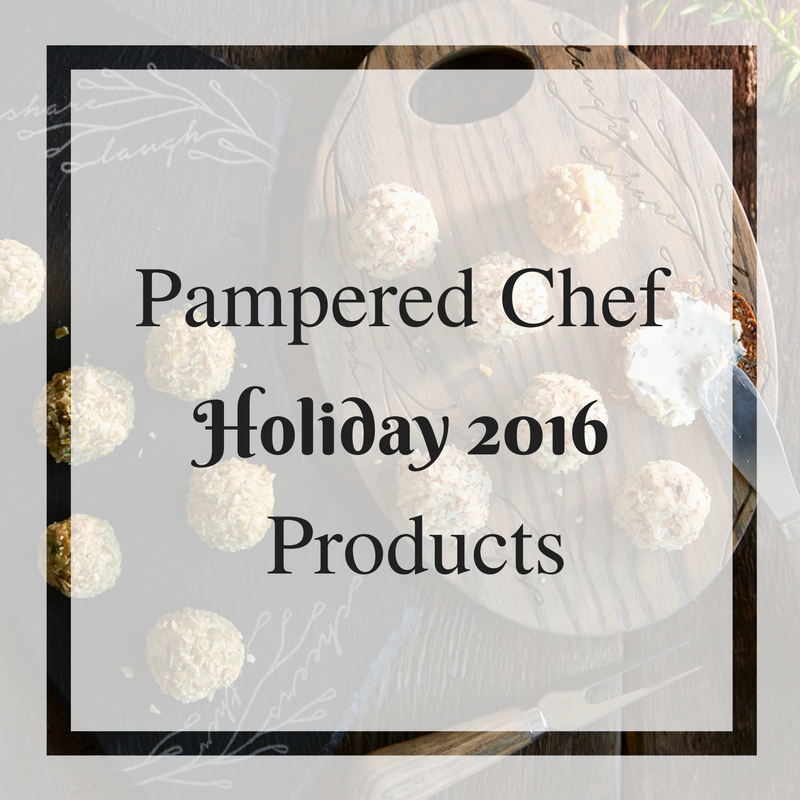 The 2016 products are not only beautiful but groundbreaking ones for Pampered Chef as well. Yes this holiday season is a groundbreaking one for Pampered Chef. This holiday season Pampered Chef released their first electronic product! The Electric Wine Opener is the perfect product to be the first and its the perfect product for the wine aficionado in your life. In addition to making popping of your favorite bottle super easy the fact that it lights up when in action makes it so you can enjoy it any time of the day or night! The are several products this holiday season that are perfect for your wine connoisseur. 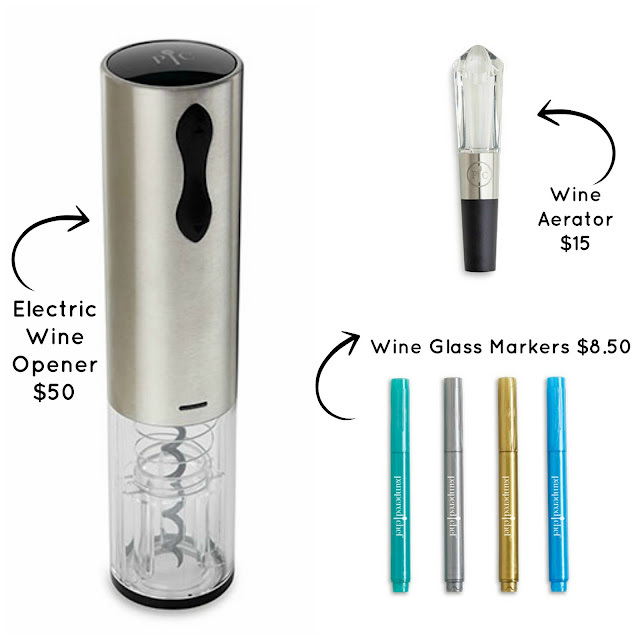 While I'm sure the Wine Aerator is perfect for some I love the Wine Glass Markers. Mostly because you don't just have to write people's names on the glasses you can go crazy and draw whatever you like. Now we come to my favorite products this holiday season! The serving pieces. I've said this the past couple of years but I think this years' pieces are my favorites. The clean, beautiful Serving Boards are perfect for anyone. They match perfectly with each other and the other accessory pieces and with their clean look will pair well with what you already have in your house. I love this time of year because Pampered Chef releases several special sets of both the holiday products and products found in the catalog. Not only is it gift giving made simple with these sets but they are always slightly cheaper than purchasing the products separately. For those sets and other fun holiday products head to my Pampered Chef website. You'll also find a Holiday section with recipes, gift ideas, entertaining ideas and much more in the holiday section!